I love boots and practically live in them from October to March. I’ve got boots for every possible purpose – work or play. What I didn’t have *until now* is a pair of motorcycle or engineer boots. I’ve been pretty much able to justify every pair of boots I have. 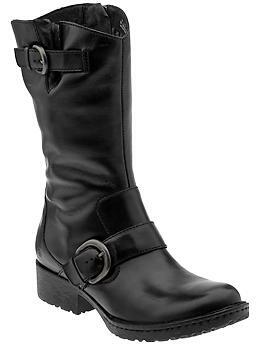 Tall black boots to wear with dresses and dress pants. Tall suede, taupe boots to wear under/over jeans. Cowboy boots that are very, very practical. They keep my feet warm and dry and are perfect for walking on wet, slushy surfaces. 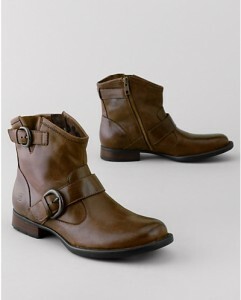 Ankle boots in brown that pull on and are super utilitarian. Not pretty but great for running errands and shoveling snow. Kamik boots that are rated for -20F below. Great for deep snow wear and snowmobiling. See? Every boot I own has a purpose. A very practical purpose. 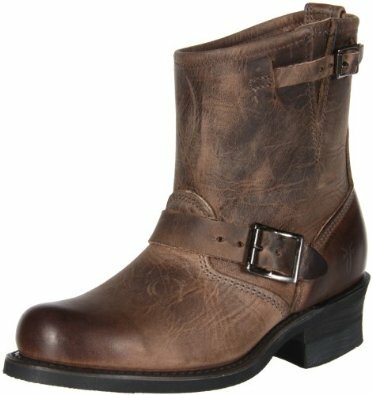 How could I possibly justify purchasing a pair of motorcycle or engineer boots when I don’t have a motorcycle? And I’m definitely not a biker babe. The answer is simple. These boots are just plain cool and that’s what’s missing in my boot collection – cool boots. Frye carries a wide selection of this style of boot. This is Frye’s Engineer 12R. Well-made, high quality and comfort come with every pair of Born boots. This is Born’s Beryl boot in black. 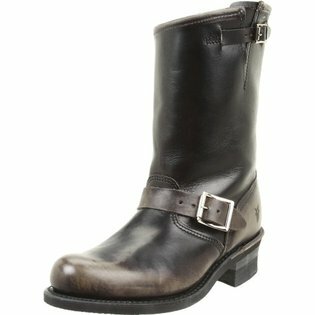 Frye Women’s Engineer 8R. Rock and roll baby! And the boot that won my heart! Born’s Raisa boot. I ordered from OnlineShoes.com in Brass Distressed. I love my new boots. They have a rubber sole so they are not slippery and they’re not ‘clunky’ sounding when you walk in them. I may not be cool but my boots are!